Arrival in Paris. 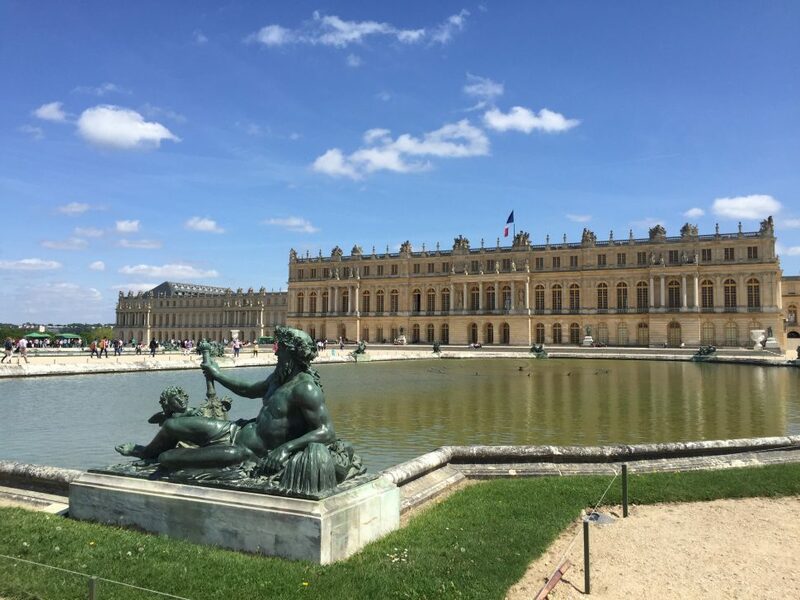 Visit of Château de Versailles on your own. 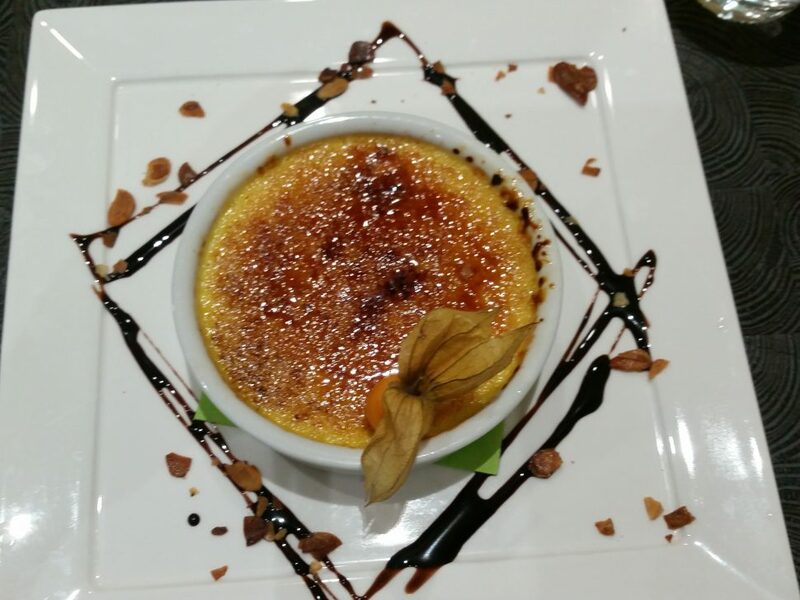 Welcome meeting with your guide at 18h00 and diner in Versailles. 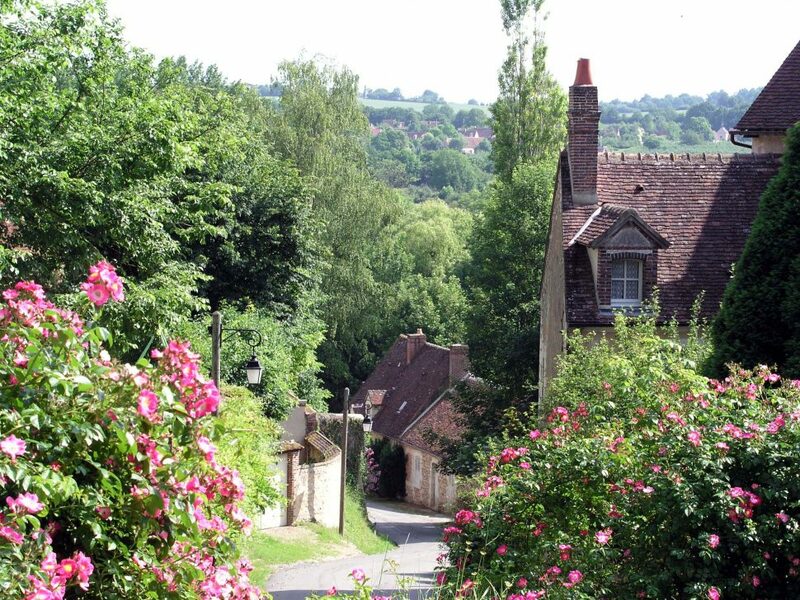 You leave Versailles and enter the picturesque Vallée de la Chevreuse. Castles, museums, wash-houses, small lovely villages. 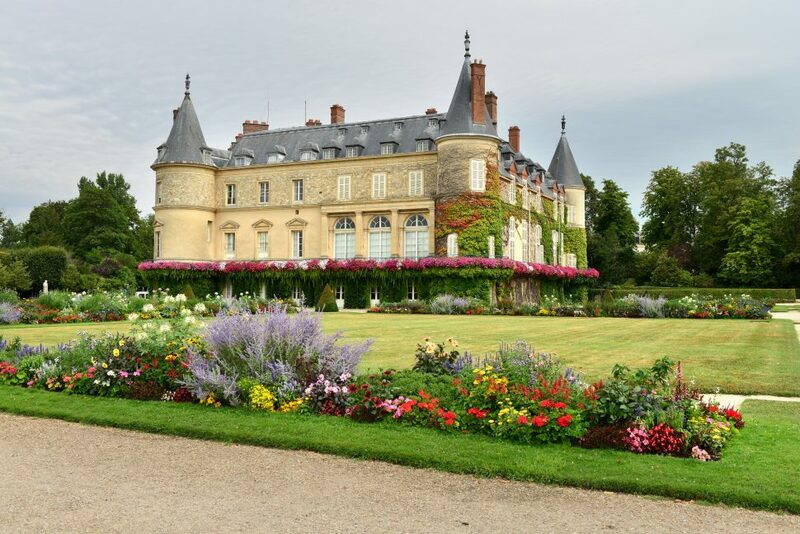 You will have the possibility to stop by a farm or small producers of beer, cheese and sirop in the Regional Natural Park…You will then enter the Domaine de Rambouillet and its castle, former residency of the kings of France. You will cycle in the green lands of the castle. The bike ride starts on charming secondary roads through small villages. 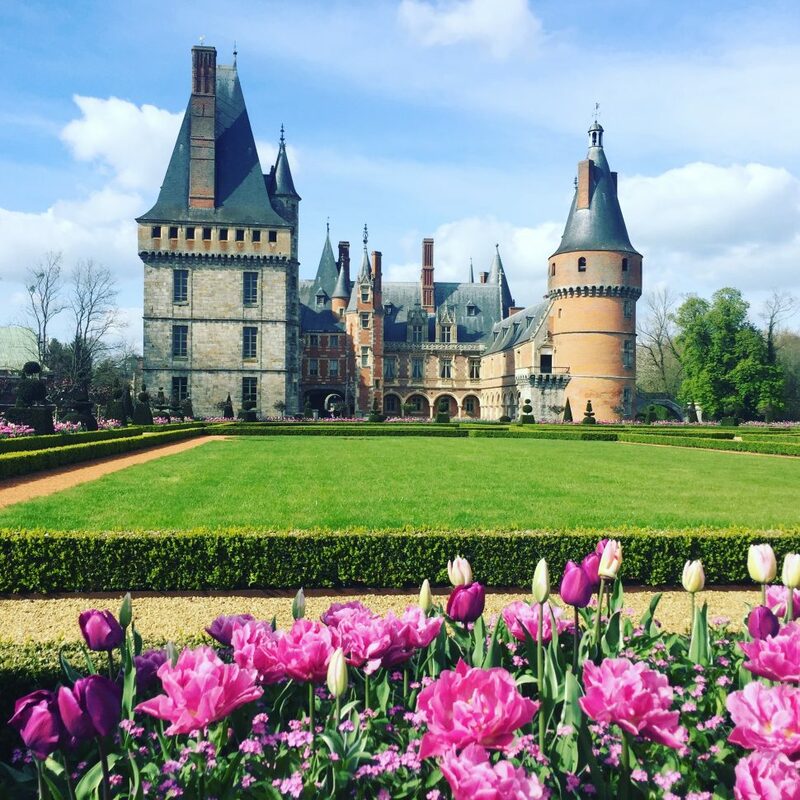 Before the great city of Chartres, you will have the possibility to visit the magnificent castle of Madame de Maintenon, last wife of Sun King Louis XIV. 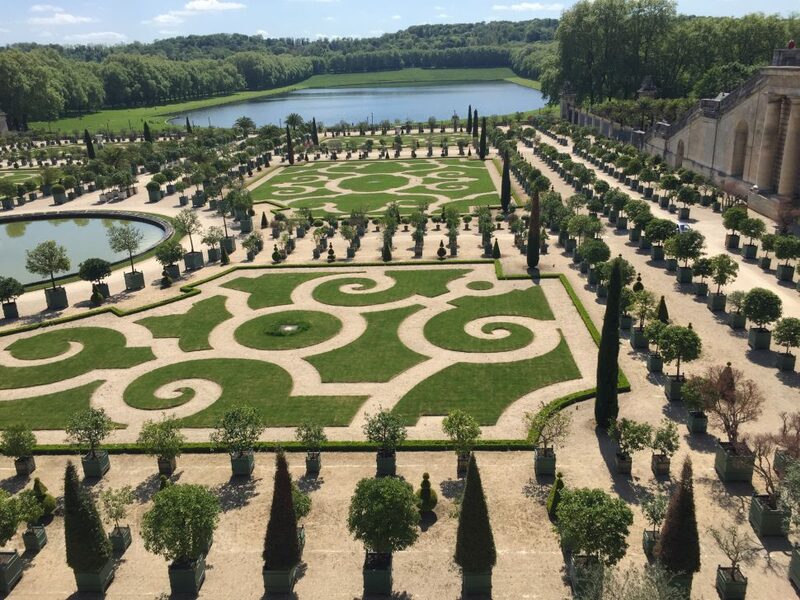 The renovated garden “à la française” of the castle are a must see. 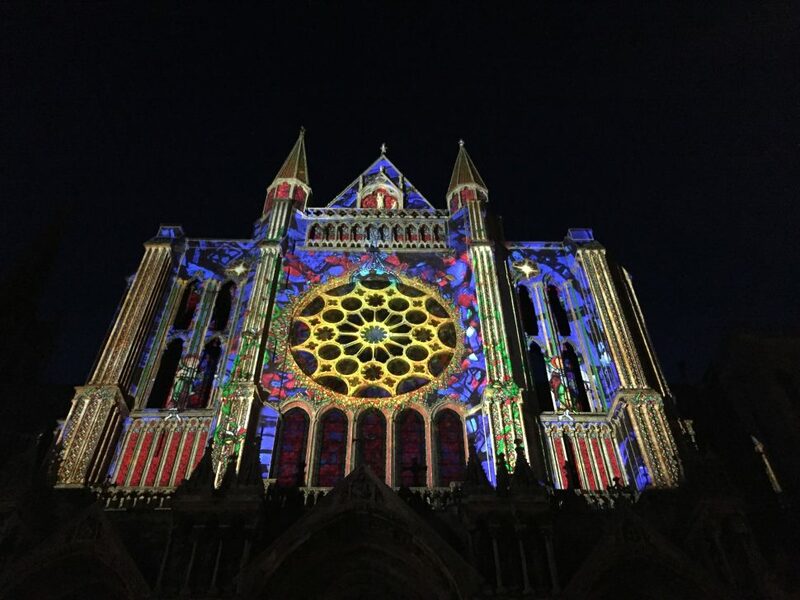 The second highlight of the day is the city of Chartres and its sublime cathedral, UNESCO site and masterpiece of gothic art, the cathedral boasts 9 sculpted gates and 2,600 m² of stained glass windows dating from the 12th and 13th centuries. 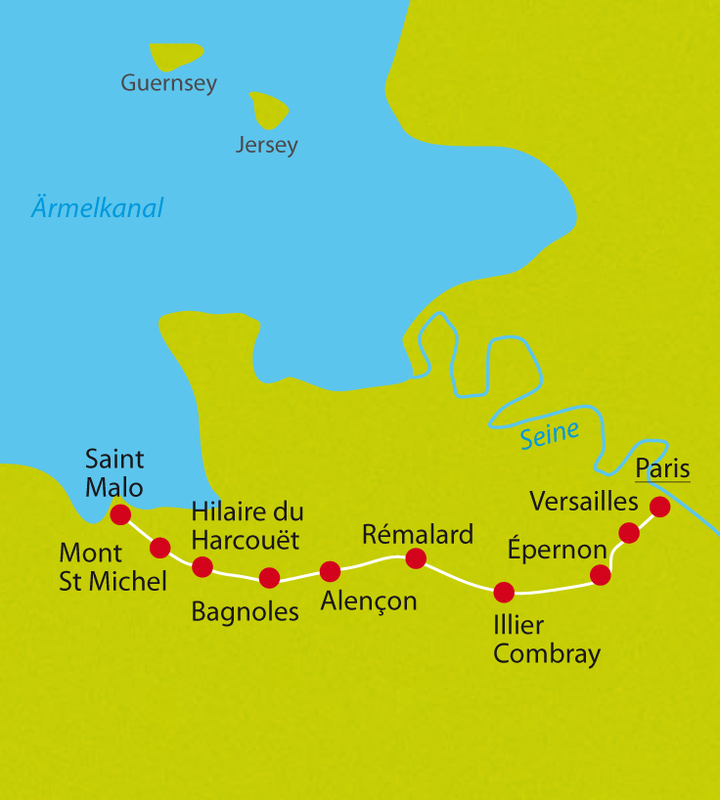 You ride then to Illiers-Combray on a romantic countryside that inspired Marcel Proust for his novel “A la recherche du temps perdu”. 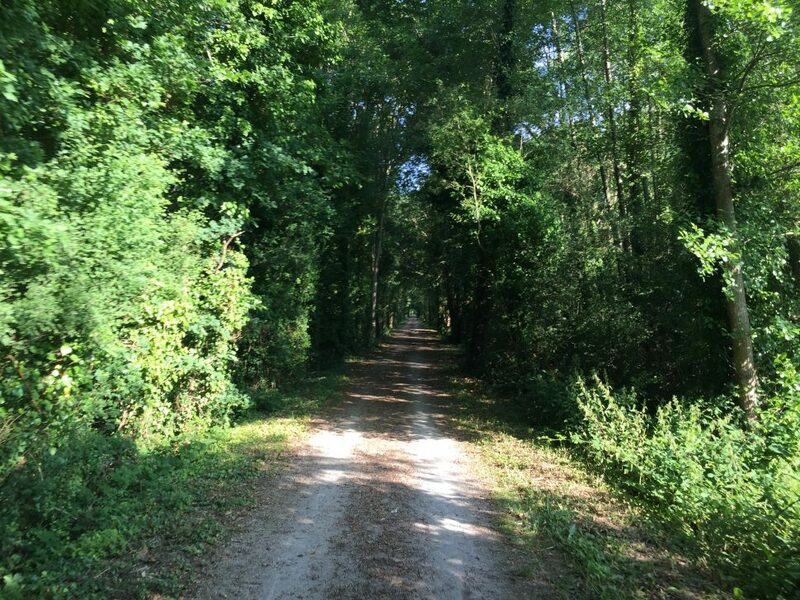 The itinerary enters the Natural park of Perche, authentic green landscapes. The region is well known for the Percheron horse, you will get the possibility to visit a Percheron Horse breeding or do an excursion in a carriage. fruit and apple cider producers will also be happy to welcome you along the green way. Gentle ride on the natural Park of Normandie Maine. 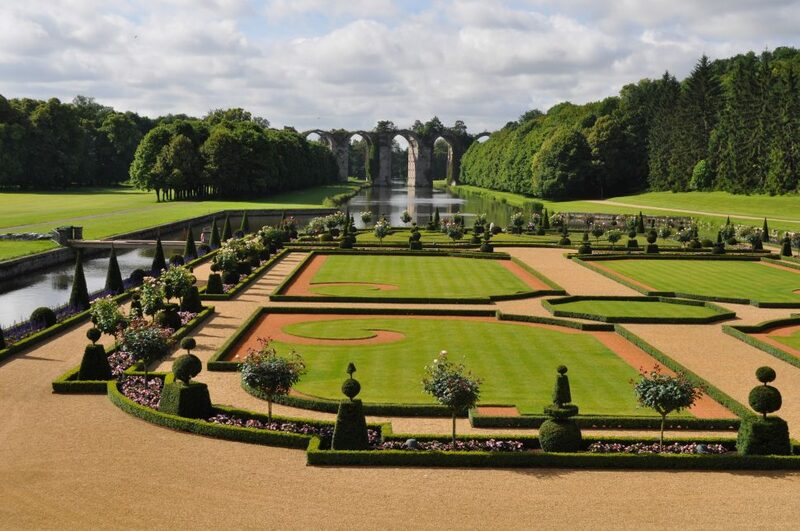 Part of the day is along the green way, you will enjoy a varied landscape all day until the charming town of Alençon. Alençon is famous for its unique production of handmade needle registered at the UNESCO. Today is a little more challenging but the scenerie is breath taking and you will enjoy wonderful view point all along the cycling day. Along the route, you can visit the impressive small château de Carrouges. The gardens of the castle could be a good option for a picnic. Your day ends in Bagnoles de l’Ornes. 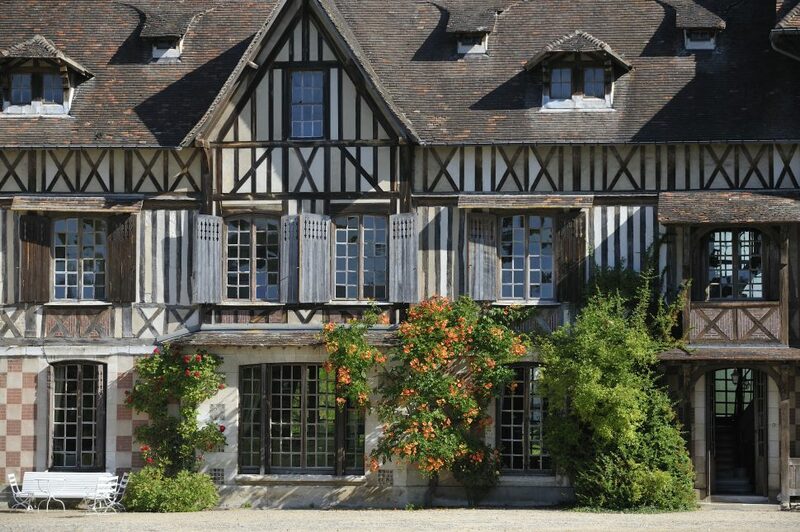 This city is full of charms, especially its Belle Epoque neighbourhood. The city is also well know for its baths so why not enjoing a relaxing swim or a massage in the baths ? However many images you’ve seen of the Mont St-Michel rising majestically from its massive bay, coming in person is a moving experience. Magical Mont-St-Michel. 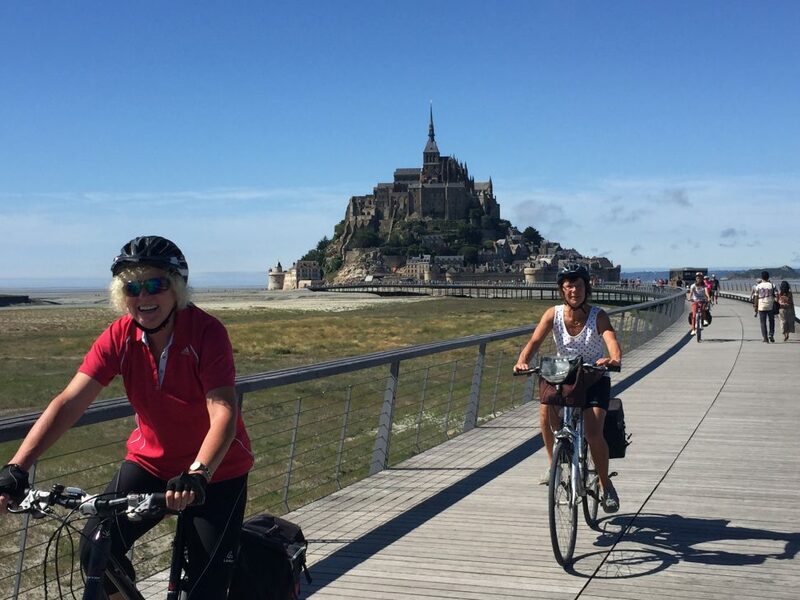 The sight is stunning, the island topped by its Gothic masterpiece of an abbey. The bay is subject to some of the biggest tidal variations in Europe, so the views change hourly. At high tide, the island is surrounded by water, but as the waters recede, a vast network of channels is revealed. These great shifts add to the magic. This itinerary is well balance with a mix of flat green ways, hilly countryside on secondary roads.